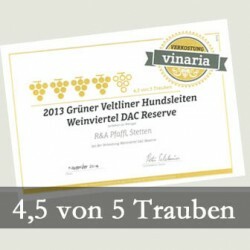 Weingut R&A Pfaffl | Das Weingut Pfaffl in Stetten steht für pfeffrigen Grünen Veltliner und elegante Rotweine. 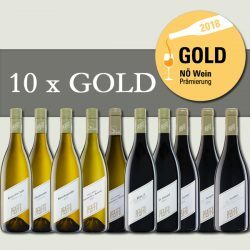 Die Weine werden in Österreich und international sehr geschätzt. We are two siblings that manage our family winery together. 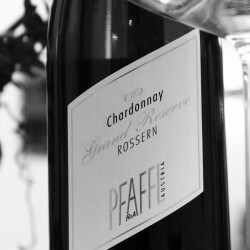 Roman Josef Pfaffl is our vineyard manager and winemaker. He sees it as vital to take responsibility for these tasks personally. Roman’s sister Heidi Fischer takes care of business administration and her specialty, marketing. Our parents, Heidi and Roman Pfaffl, support us in every way they can and we are grateful for this. We are a great team. 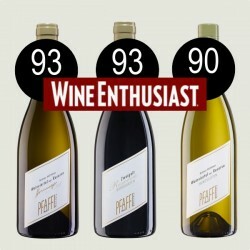 Roman Pfaffl is our expert in the vineyard. Heidi Pfaffl is the heart of our entire family enterprise. She takes good care of us as well as our guests. You will usually find her adoring grandchildren, Heidi’s children Marianne and Josef, close at her side. …is our vineyards. Of this, we are very much aware. We cultivate around 110 hectares. 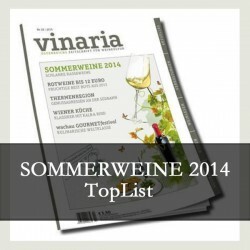 Our vineyards are distributed around the village of Stetten in the Weinviertel and in neighbouring Vienna. Due to the numerous vineyards and their diversity, we are able to produce a broad spectrum of wine styles. It is always exciting for us to see how each terroir is expressed in its wine. ...is at the core of our wine philosophy. Respect management of our natural resources and our environment is very important to us. Meticulous canopy management, manual selection of grapes, and sensitivity for the vines’ needs make it possible for us to cope with the vagaries of the weather and produce top quality wines year for year. To create perfect conditions for the wines in our cellar, we shy from no cost or effort. Perfect hygiene, meticulous temperature control in all areas, optimal humidity, minimal pumping, and protective handling are provided. All of these efforts aid us in transporting the superb quality from our vineyards directly to the bottle. that's our brand mark and stands for everything we put in our wines: the work in the vineyard, the precision in the cellar, the passion for the wine and for our winery. You are, of course welcome to come and taste our wines, visit our winery, or purchase wine on the premises. We stage a big event at least once a year to which you are cordially invited. We are also open from Monday through Friday from 8-12 AM and 1-5 PM.